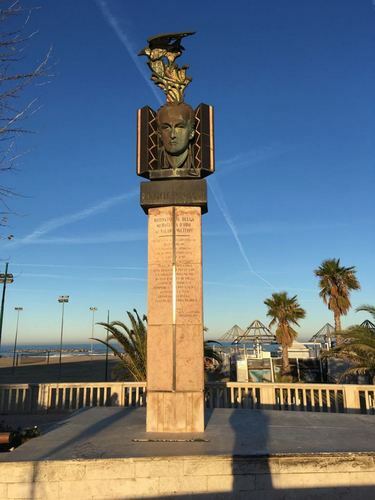 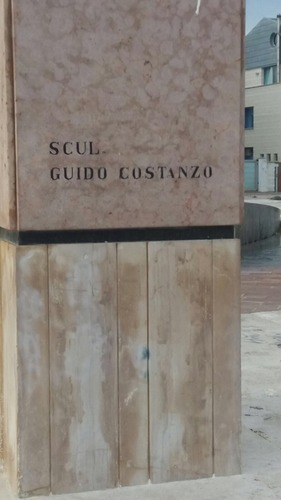 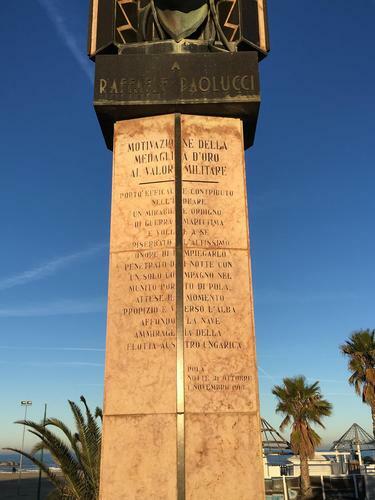 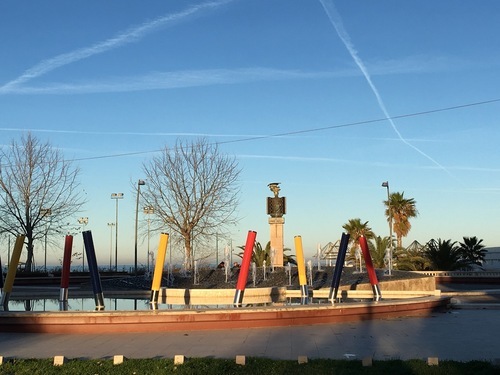 Raffaele Paolucci’s bust can be found in the north of Pescara (Via Lungomare Nord, 98), on the seafront. 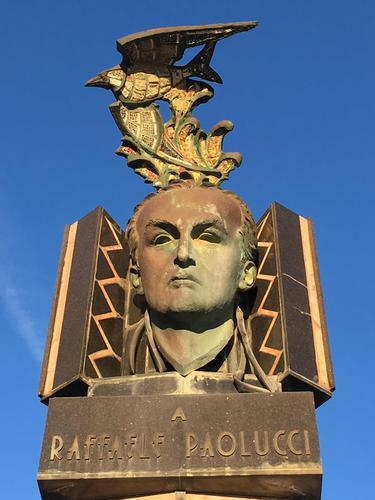 The monument is a bronze bust representing his face with a flying bird on the top. 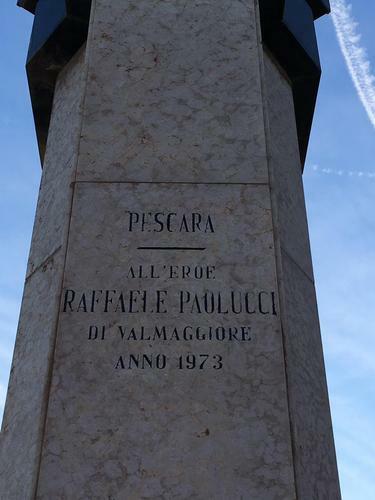 "PESCARA / ALL'EROE / RAFFAELE PAOLUCCI / DI VALMAGGIORE / ANNO 1973"
It was sculpted by the artist Guido Costanzo in 1973.